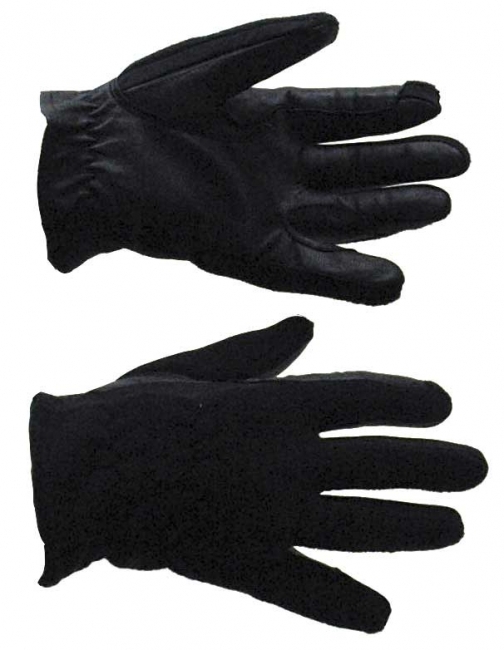 Goat skin leather palm with reinforced fingers and fleece back glove is a great in between seasons riding glove. Great for the cool days of spring or fall as well as for warmer days in the winter. Garhered wrist and Spandex gussets between fingers for flexible fit. should equal your glove size.